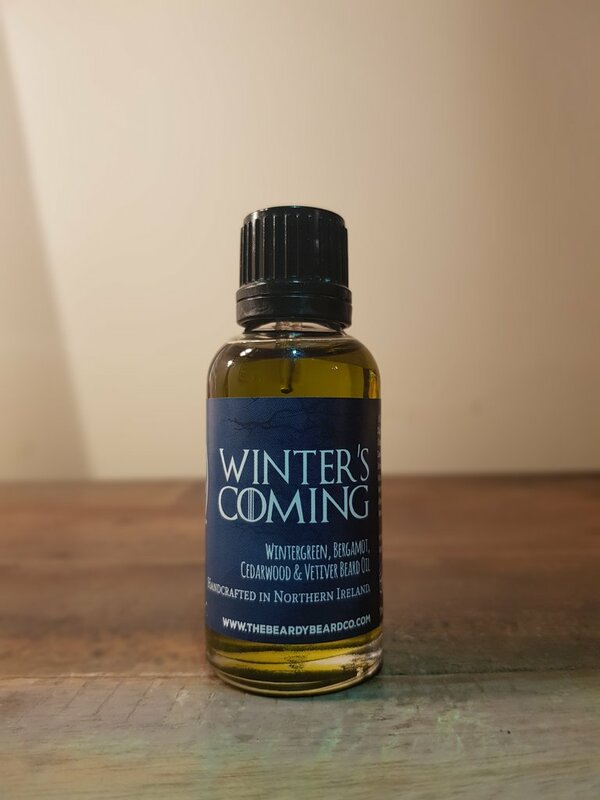 The Beardy Beard Co Winter’s Coming Beard Oil is one of the latest beard oil scents available from the Northern Irish brand who are based in Belfast. The base for this oil is the same base oil used throughout The Beardy Beard Co oils, a blend of Jojoba Seed, Sweet Almond, Grapeseed, Hemp Seed and Vitamin E and it is a blend that works very well. It leaves my beard feeling softer, looking good and I have had some good, some very good beard days whilst using The Beardy Beard Co oils! The scent is a blend of Wintergreen, Bergamot, Cedarwood & Vetiver and I instantly I recognised the scent of Methyl Salicylate, this is because the WIntergreen contains a very large percentage of Methyl Salicylate. I use an oil that my Father in Laws wife brings back when she visits the Philippines, it is a fix all style oil that I have used for years! I found this scent in a beard oil to be a bit strange, the warm Methyl Salicylate is the most prominent scent in the Winter’s Coming oil but when you warm it in your hands you do get the Bergamot coming through slightly with woodsyness as well, but for me it is a no and I know some will disagree! The Beardy Beard Co Winter’s Coming Beard Oil comes in a 30ml bottle with drip stopper and costs £15 from the website.